I really like Street’s books. Wow, told you to look elsewhere for anything deep and meaningful. But let me go into a little more detail. I would never claim that Street approaches the quality of Christie or Carr. To me, those are the two untouchables in quality and quantity, provided you don’t read Postern Of Fate or any Carr post 1950. But he’s not a million miles away. Some Golden Age writers struggle to catch my interest, but not (usually) Street. I’d certainly place him above Bude and Farjeon on the quality ladder. 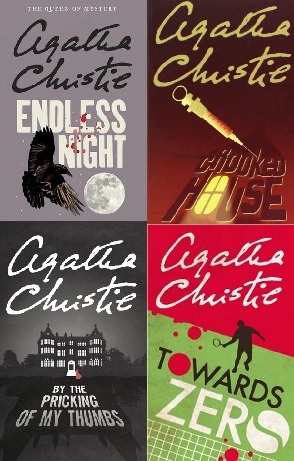 I’m not saying for a minute that Street is perfect – Pinehurst and Early Morning Murder are evidence of that – but I’m rarely not entertained by his work. He likes a complex plot. Early on, I was a little concerned about a pattern that seemed to be evolving in his books, namely the overly-complex plot. Death In The Tunnel is a great example of this, where someone goes to ridiculous lengths to set up a crime that nobody could work out how it happened, but, just in case someone does, bothers to frame someone else for the crime. Not someone on the scene, as would make sense, but someone who used the same plan as the killer. If you’re going to go to those lengths a) make the death not seem like murder and/or b) frame someone who was (in this case) on the train, rather than someone else who… well, spoilers. 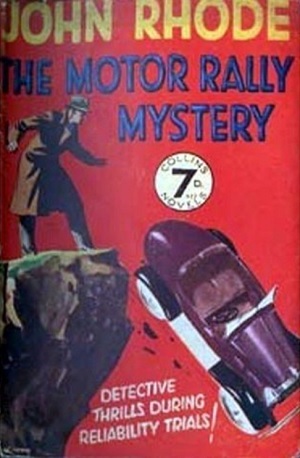 It’s not the only case of that structure – The Motor Rally Mystery follows a very similar structure as well. I’m pleased to report though, that since reading those two almost back-to-back, things have become more varied. There is one book where the plot structure is incredibly lazy – namely that one crucial witness has basically been lying their pants off for the whole book making the investigation that you’ve been following fairly pointless. 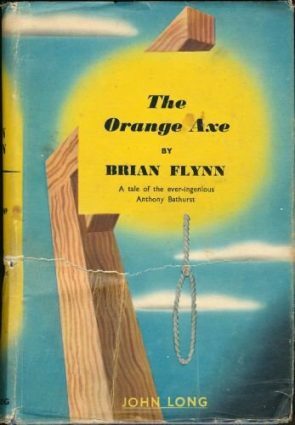 But that’s not one of his best… When he is at his best – in Death On The Board, with its murderous tin-opener and flammable pyjamas, or Peril At Cranbury Hall, with what appears to be the least successful murderer ever – then he shows what he is capable of when on top form. He has an eye for detail. The thing about Christie and Carr, their books are fairly timeless. Generally, they could be set at any time in the 20th century, as the background detail is minimal. Not so with Rhode – he seems to have had more down to earth interests, and he shows it in his writing. Take the background information on the latest sports cars and rallying in The Motor Rally Mystery. 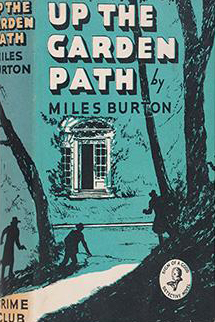 It seems almost antiquated now, but it provides much more of a snapshot of the country at the time than the country estates of Christie’s tales. Similarly, again in Peril At Cranbury Hall, we see an insight into sanatorium treatments of the day. Or the workings of an ironmongery empire in Death On The Board. Or what the heck a Vegetable Duck was. I just feel that I learn more about aspects of history from reading Rhode that I would not get from his contemporaries – or even history books, as some of the detail borders on the trivial. Fascinating nonetheless to me, but fairly trivial. 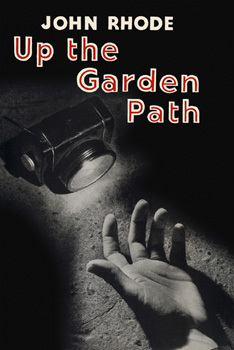 His sleuths leave something to be desired – Merrion and Arnold, with the exception of Merrion’s debut – are fairly colourless individuals in the outings that I’ve read so far. His “Rhode” sleuths fair better, but I always hesitate when touting them as Dr Priestley mysteries. 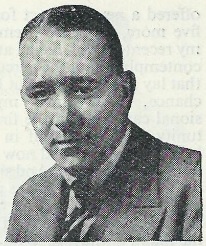 Priestley at times is hardly in it, offering sagacious wisdom to Superintendent Hanslet and later on to Inspector Jimmy Waghorn. At times, Priestley’s brief appearance is almost superfluous – take Vegetable Duck, where it’s really Waghorn who unmasks the killer – but his dinner meetings with his cohort of friends are usually entertaining. What is a little annoying after a while is both Priestley and Merrion’s attitude of “well, I’ve told you who the killer was, but I’ve absolutely no inclination to help you prove it”. Merrion even on one occasion resorts to “well, it’s probably murder, but what can you do?” But I do like Hanslet and Waghorn, competent police officers who occasionally need a nudge, rather than the Japp-esque model. Also, the lead characters in Street’s tales are usually well thought-out, although his background characters can merge into one at times. This doesn’t help when one of those characters is the killer, but generally, that hasn’t been a major problem. One of the problems with Street is that when he’s off-form, his books are not great. So if you’ve finally managed to stumble over a copy of, say, Pinehurst for £10, you might be disappointed when you finally read it. So which ones should you look out for? Early Morning Murder – one of the more findable books unfortunately, but it’s poor. So a plea to the estate, on the off-chance they see this. 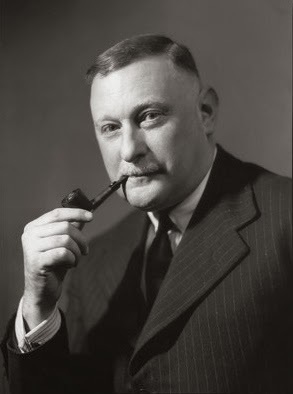 John Street was one of the most prolific Golden Age detective writers and, while no Christie or Carr, one of the most eminently readable and enjoyable writers out there. With the deluge of reprints out there from other, often lesser writers, please let a publisher have the rights to republish his canon of work. As it stands, I doubt I’ll ever be able to read Murder Of A Chemist, Tragedy At The Thirteenth Hole or Murder At Lilac Cottage, or many of the other titles that currently stand to be lost to time or to live out their lives taking up space collecting dust on a collector’s shelves. Those books deserve to be read now as much as they did when they were published – it would be wonderful if they were to see the light of day again. I know I’m not alone in wanting to see them and I do hope that you consider releasing the rights. Thanks for listening. Interesting to see what directed you to this author. I’m about a third of the way through Pinehurst at the moment. Writing style is a little dry, but doesn’t seem absolutely dire at the moment. Need to re-read your review of the book once I have got to the end. 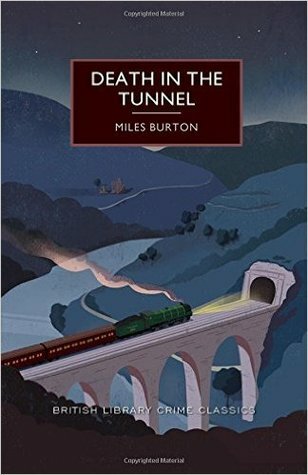 Have read a few of his, of which I enjoyed THE MOTOR RALLY MYSTERY. VEGETABLE DUCK had an ingenious method of murder (though why the murderer couldn’t disguise him/her self while interacting with others was beyond me). Have just started BODY UNIDENTIFIED which seems interesting. I’ve only just caught up with this, which seems a very fair summary (though I don’t share your enthusiasm for The Motor Rally Mystery, which for me failed on almost every level). Clearly he wrote far too much, and that’s why his output was so variable, but at his best he was a very interesting writer. I prefer the whodunit to the howdunit, and he was stronger on means rather than motive (Shot at Dawn has an especially feeble motive). But he did not deserve oblivion and I’m pleased that the BL books have contributed to a reassessment of his work. 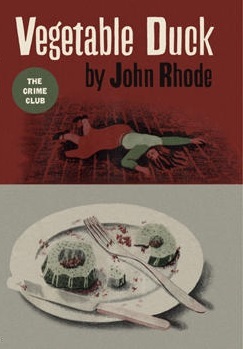 I liked Vegetable Duck and the other Wallace case story, The Telephone Call. When Street went into the public domain in Canada, I had the chance to read a bunch of his work that I’d never had the opportunity to experience — I think I went through about two dozen in a month, just gobbling them like long-denied candy. It may be that I surfeited myself, or just took his measure, but I’m not going back looking for the ones I haven’t read, not when there’s so much else out there that’s coming into print that’s worth reading. I found two major types of story that seemed to repeat. One is where someone from the long distant past makes a plot of revenge that involves impersonation over a period of years; the other is, someone (usually with a ridiculous motive) thinks of a way to kill an enemy that involves a “deathtrap machine” or some weird way of poisoning someone. I expect there are a couple of other patterns but those were just the first two that I saw repeated again and again. I’ll agree with Martin Edwards that he did not deserve oblivion, but I’m not giving him much more attention either. I think there’s a lot of truth in what you say there, Noah, but there are a good few books that don’t follow that structure. Maybe the similarities are why I’m pacing myself while collecting as many as possible. His strength, for me at least, is the background detail giving a picture of the time, something that is often missing from books of the time. A useful post. I bought Death on (the) Board, and will report back when I eventually get to it. Blimey, that can’t have been cheap. 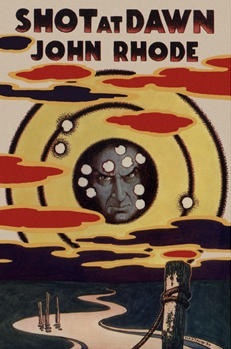 There’s a review of it on the blog, it’s one of the more fun Rhode titles.